Performance defined. 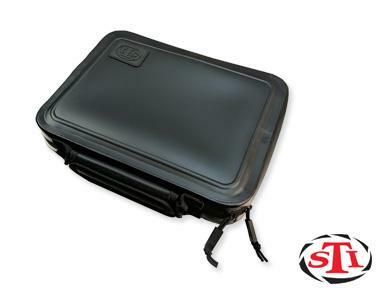 STI's new soft case protects your firearm and looks great at the same time. It features a double sided interior soft lining to prevent scratches with velcro anchors to keep your pistol secure. The black exterior is a bold looking non-permeable coating and features a carry handle, zippered opening as well as a rubberized STI logo.